With the rising cost of a college education, it can be difficult to ensure your loved ones receive a quality educational experience. Many try to set aside funds for future use, but those funds either become allocated to other expenditures or lose value over time by sitting in a low-interest savings account. Enter the 529 savings plan. These state-administered savings plans help you to allocate and grow funds to help cover qualified education expenses. They provide helpful tax breaks and can even be connected to a tuition gifting service like giftofcollege.com so that family and friends can help you to alleviate some of the financial burden. But the plan is not for everyone, as some may want a wider selection of investment options or need access to the college fund for more pressing financial concerns. These plans can be a massive help in your journey to provide education for your loved ones, but it is a complex product that should be carefully considered. 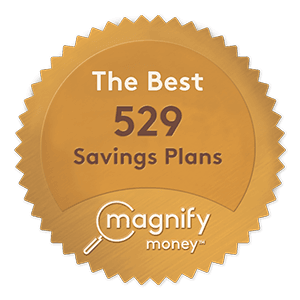 (like all investment decisions) To that end, MagnifyMoney has produced a free and comprehensive guide detailing the pros and cons of using a 529 plan. The guide explains in detail what you should look for and avoid when evaluating a 529 savings plan and how you can best maximize its use.